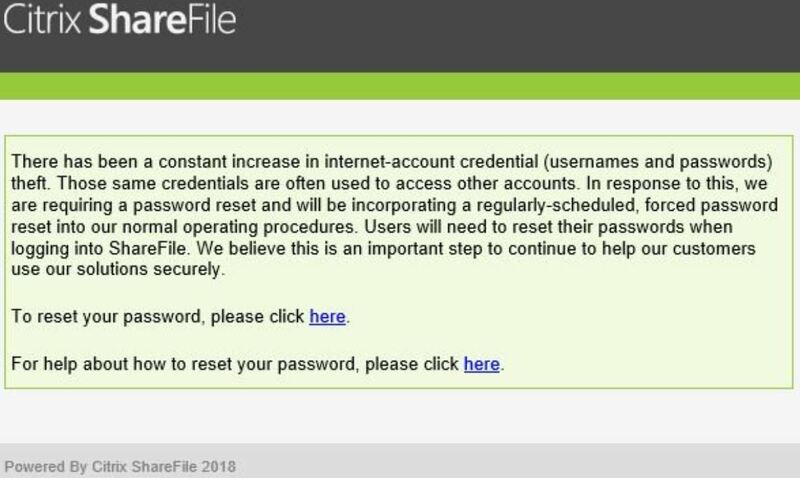 Ideally, ShareFile users who received a password reset notice may be able to avoid the next round of password resets by adopting one of the two-step authentication options mentioned above. And I hope it goes without saying, but please don’t re-use a password you used anywhere else. https://phxtechsol.com/wp-content/uploads/2017/02/PTS-Horiz-logo-1-1200-300x53.jpg 0 0 ptsadmin https://phxtechsol.com/wp-content/uploads/2017/02/PTS-Horiz-logo-1-1200-300x53.jpg ptsadmin2018-12-05 09:55:292018-12-05 09:55:32A Breach, or Just a Forced Password Reset?